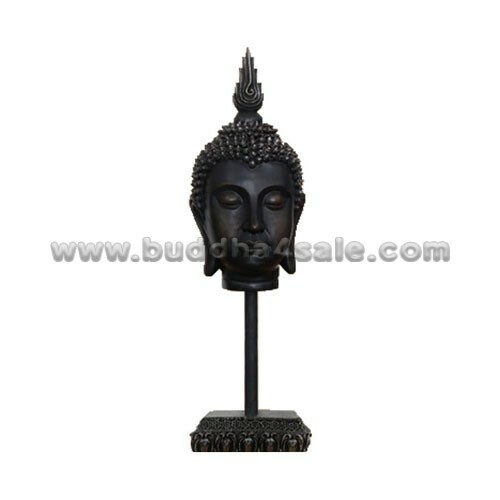 • Placement: Meditation Room, Study Room, Office, Library, Shrine, Backyard, Front Door, Patio, Foyer, Mantel, Etc. 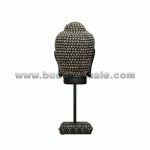 • An interesting and decorative Asian style decorative accessory, a particularly fine reproduction resin Buddha head, though it comes in a wood-like finish. 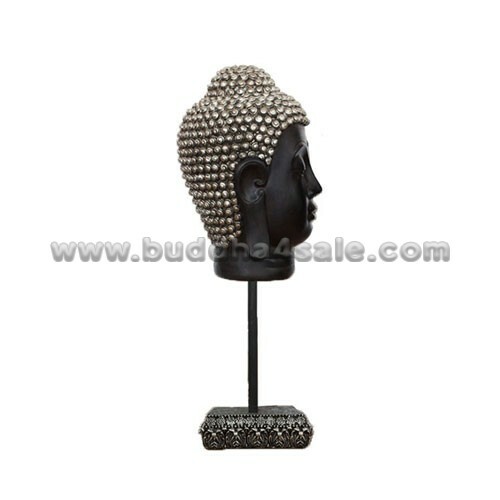 This Buddha head is made from quality resin which will stay in prim condition for ages. 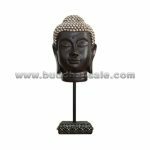 Beautifully designed this wonderful Buddha head is in shades of cream which features the rounded sliver ushnisha pattern on the head. 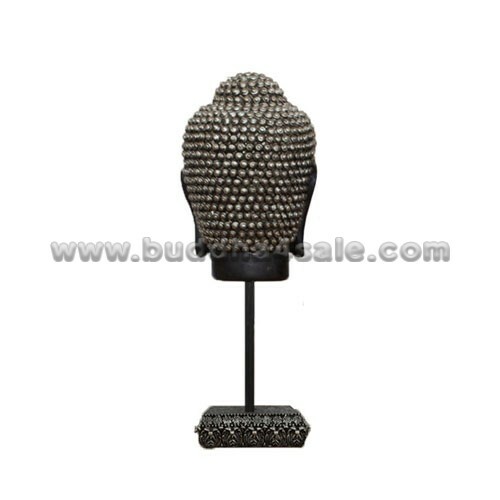 It is mounted on a delicate plinth with a long post. • This Buddha head will add an element of Southeast Asian beauty and charm to you living room, bedroom or studio. 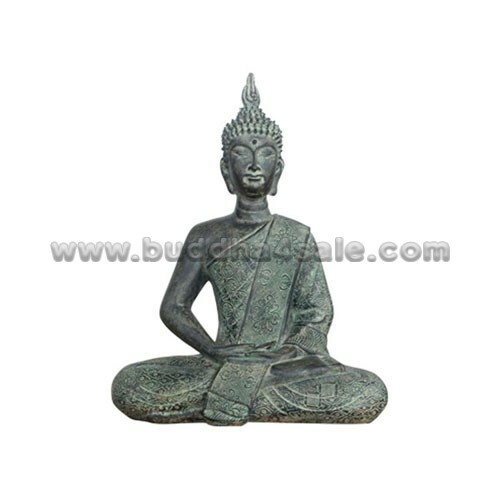 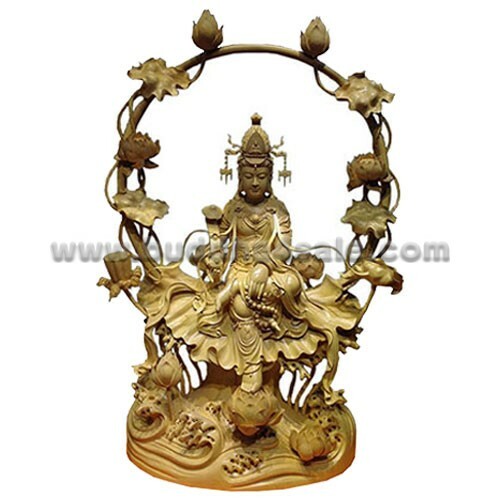 Decorate your work space with an attractive Buddha reproduction. 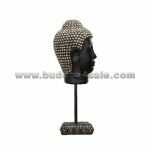 These are wonderful, well crafted designs, from a simpler time when art was an important part of daily life. 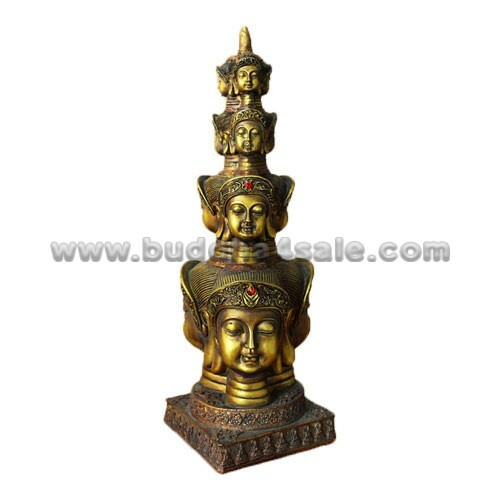 • Contemporary table and garden artwork with Thai and Burmese religious blend.